Many of your wedding details will work together to create a cohesive ambiance for your big day! Details such as your flowers and cake will be joined together to create a wedding masterpiece. 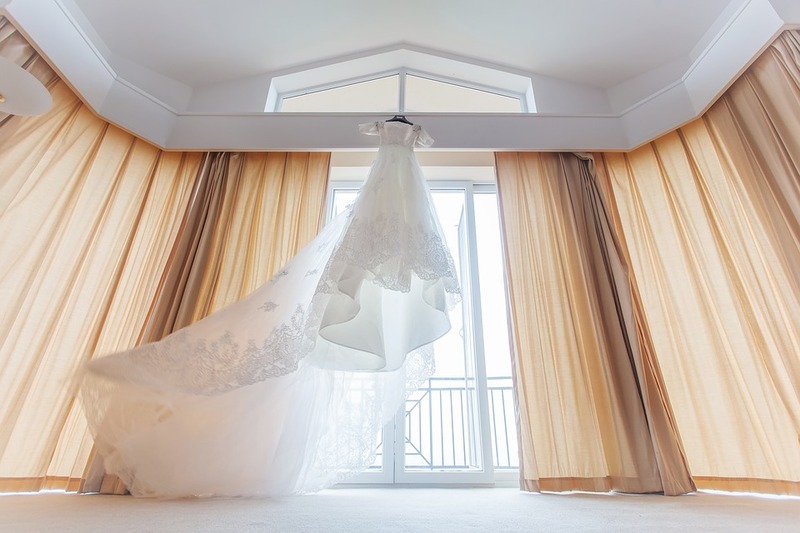 In fact, one of the most often overlooked combinations on your big day will be your wedding gown and your venue. These may not seem like they have anything to do with each other. But, in reality, they are your most crucial details and require careful planning. City Bride. Have you chosen a stunning city setting for your nuptials? This industrial setting is sure to be a beautiful venue for your nuptials. Matching your gown won’t be difficult either. Consider choosing a gown that is sleek, slender, and chic. A slim silhouette, mermaid, or trumpet-style gown would be most ideal. Beach Bride. The waves, ocean air, and enticing sparkle of the water creates a romantic setting for your nuptials. Work with these details by choosing a gown that is flowy, lightweight, and with a couple of layers to catch in the breeze. Royal Bride. Did you find a venue that reminds you of a castle? If so, you have the opportunity to create a fairytale wedding filled with royal romance. A fitting gown for this venue would be a lush ballgown. This is your big day and you deserve to feel like a princess, if you wish. Using these tips, you will certainly be an image of bridal perfection! And, your venue will complement your dress creating a wedding experience, rather than just a wedding look. So, if you are all set to discover the perfect wedding venue in Columbus, Ohio to show off your own wedding dress, such as Glass Rooster Cannery, be sure to contact us here at Engaged Columbus. We would be more than pleased with the opportunity to pair you with your Columbus wedding venue.